It’s Easter time and there’s a high chance the artists to put pen to paper and draw up interesting Easter­themed artwork. Whether you’re drawing an Easter Bunny or Easter eggs, it ought to be stunning and visually interesting. You can opt black and white or pick colored versions. 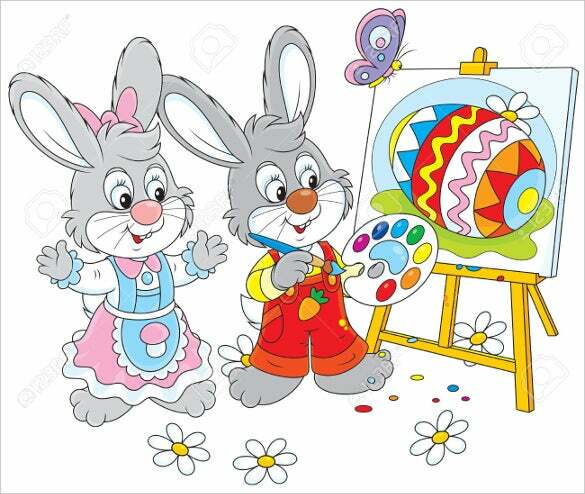 It is likely that you’d like to sketch Easter themed scenes and we have some amazing Easter drawings to inspire you to produce classy artwork. 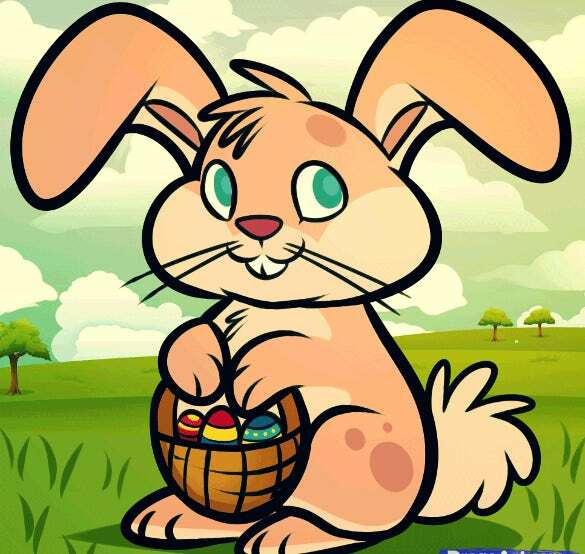 You can also see Easter Coloring Pages. This is a drawing of a cute Easter bunny holding two colourful eggs on each side. 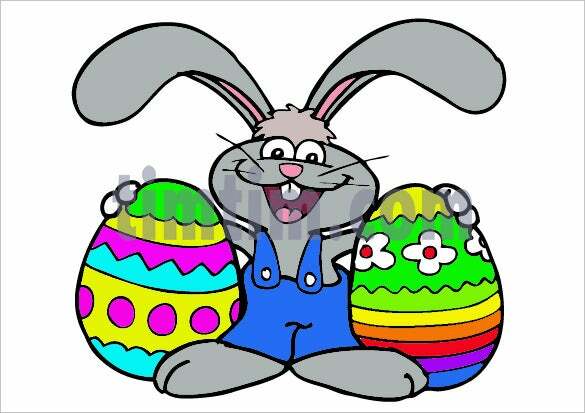 The bunny is wearing blue overalls and holding two very beautifully decorated Easter eggs. You can download the template. 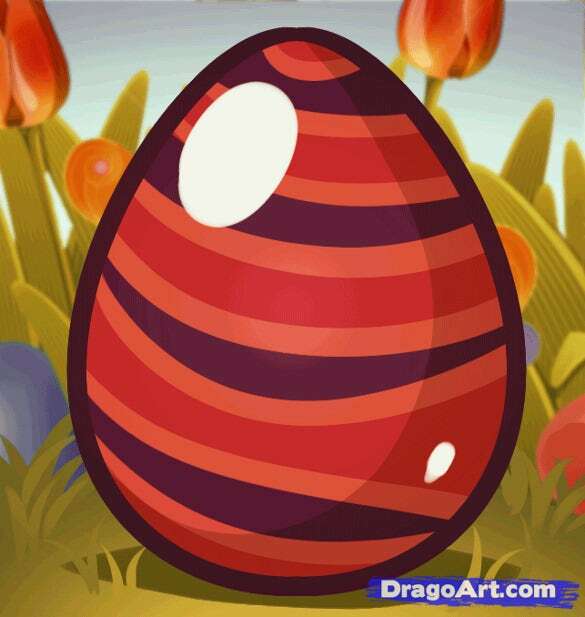 This is a gorgeous drawing of an Easter egg. The drawing looks so elegant and detailed. It looks as if it has been drawn with a white felt tip pen. You can download or print this template. Eggs are such an important part of Easter. 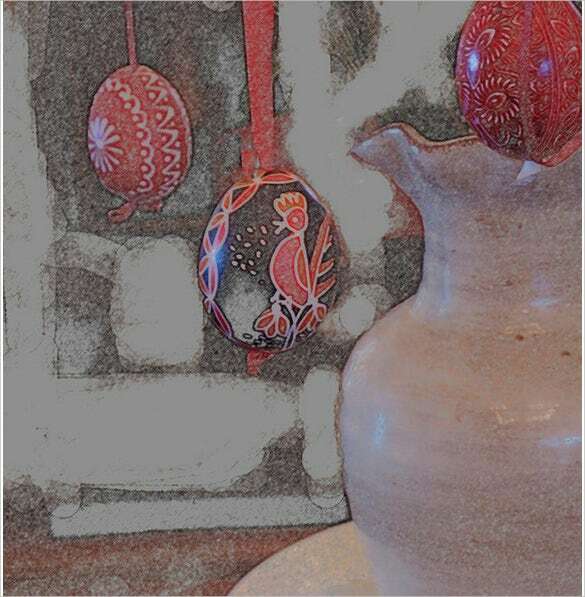 This template consists of an image of three beautifully decorated Easter eggs. 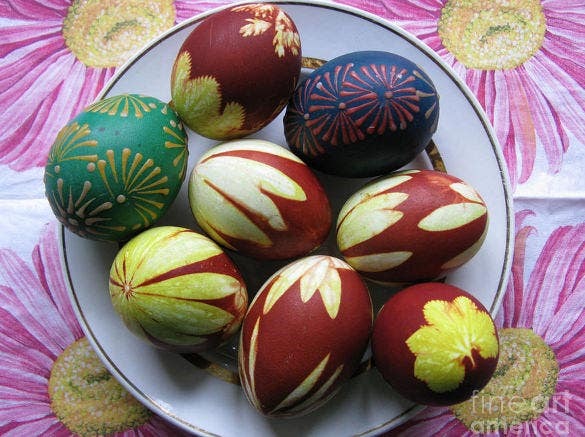 The eggs are very pretty and colourful and catch the eye immediately. 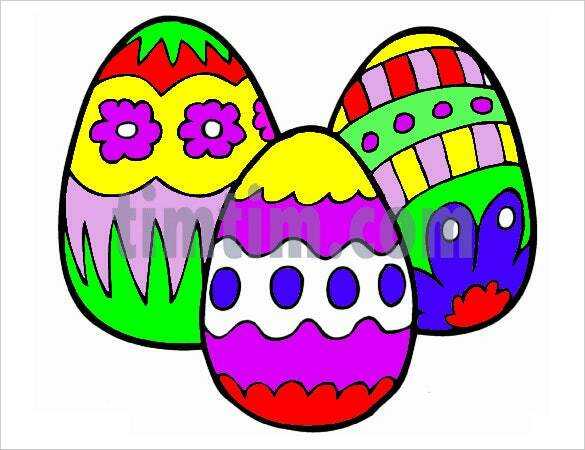 The free download Easter eggs drawing for kids template includes the image of five creatively drawn Easter eggs. You can either download or print this template and use it according to your requirement. 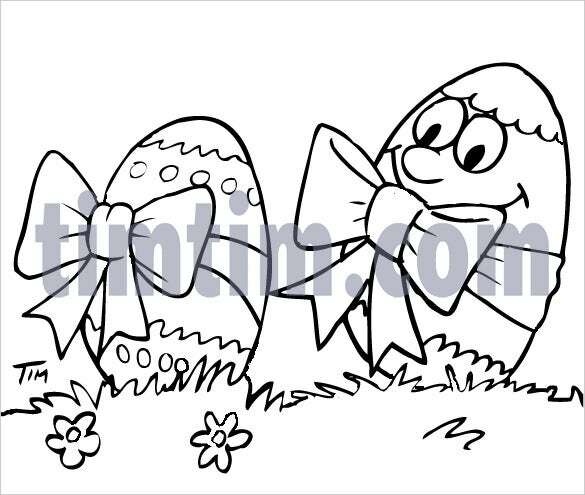 The black line drawing Easter eggs with ribbons template has the drawing of two nicely decorated eggs wrapped in ribbons. It is an adorable drawing and can be used for various purposes. 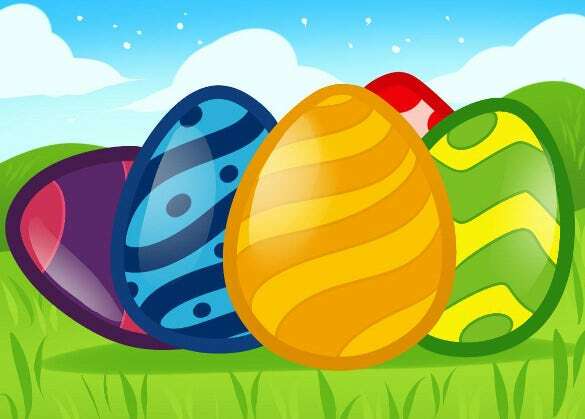 Easter eggs are decorated eggs that are often given to celebrate Easter or springtime. Need some Easter eggs to give to your loved ones. 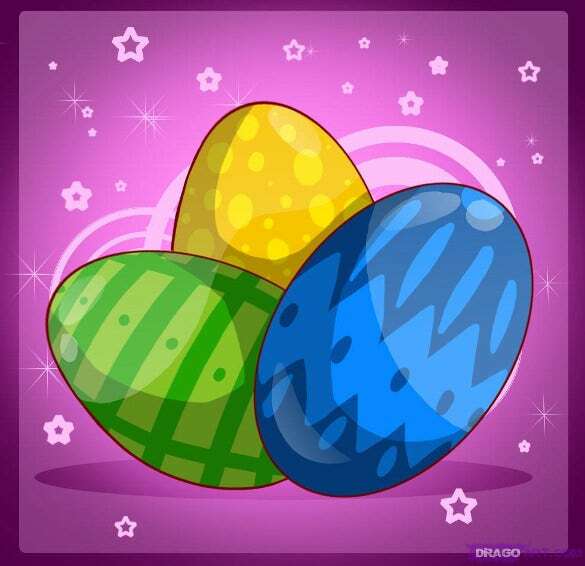 This template has a picture of beautiful dyed Easter eggs that you can use as an inspiration. 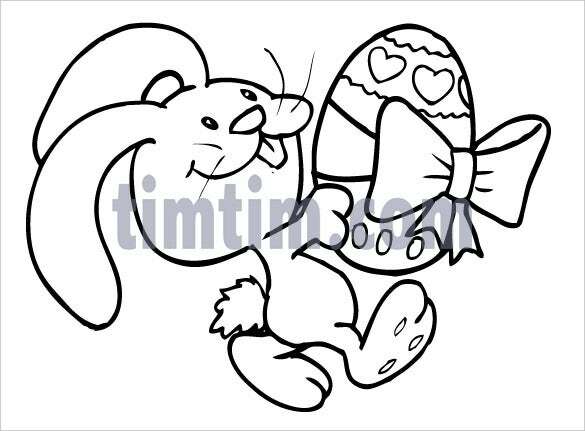 This template consists of a line drawing of a cute smiling Easter bunny rabbit carrying a decorated Easter egg tied with a ribbon and bow. This is a perfect drawing to send as an Easter card to your loved ones. There are different ways to paint an Easter egg. 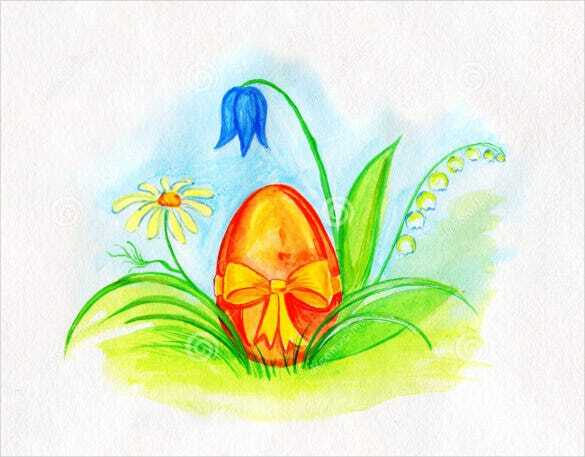 This template includes a different version of Easter eggs painting. These prints are unique and eye catching. You can either download or print this template. This template includes the drawing of a cute small girls standing in front of an Easter egg which is as big as she is. She is holding the Easter egg which has a huge smiling face. This is a great template to use for posters or cards. 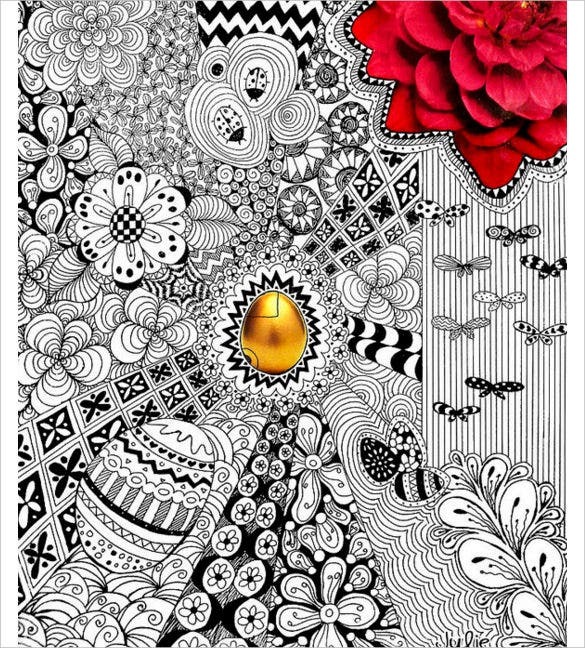 The golden egg print Easter drawings template consists of an image of a golden egg in the centre of a beautifully drawn doodle. 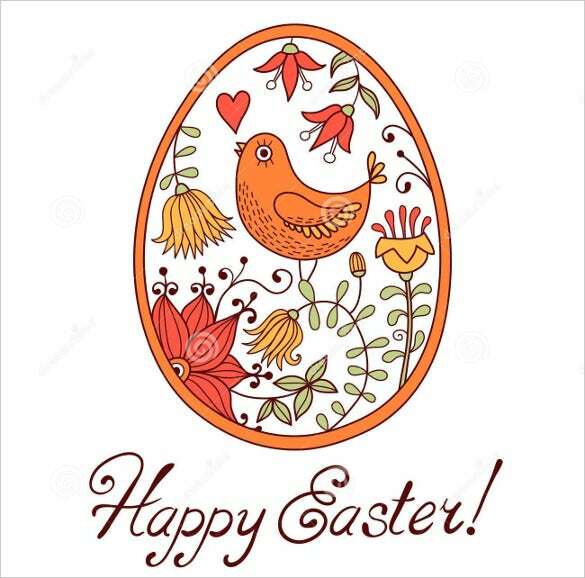 This template can be used for posters or for Easter cards for your loved one. This template is a black line drawing of a smiling woman putting decorated Easter eggs into the basket. You can either download this template or print it in a hard printing paper and use it. 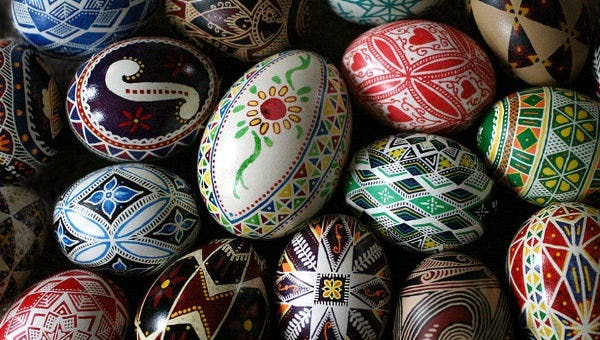 Decorating an Easter egg from scratch might be quite a task, especially if you are not an artist yourself. 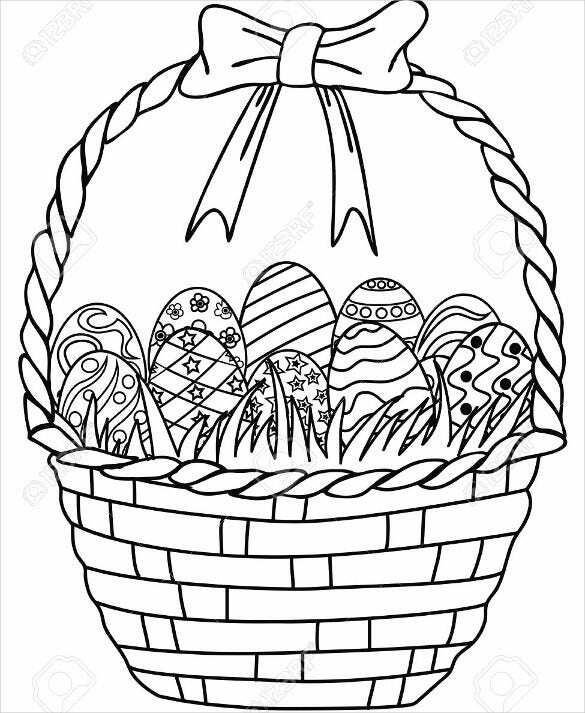 Download this Easter drawing template and you can get ideas and inspiration to decorate your Easter eggs. Sending postcards and Easter cards is a must. 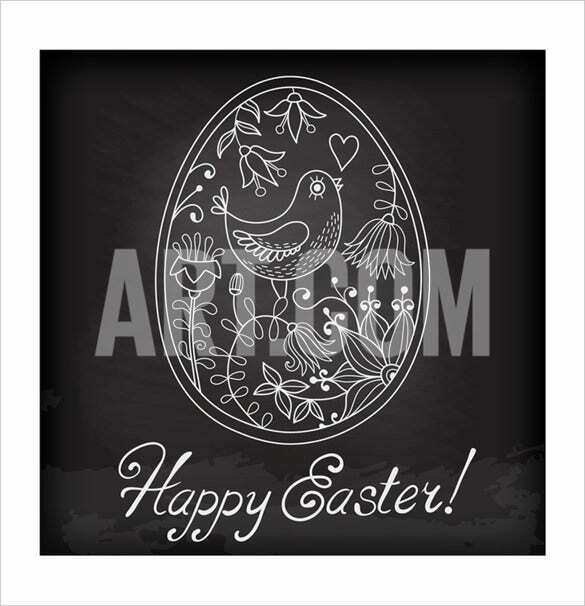 Download this template and print it on a hard printing paper and you got yourself a readymade Easter card. 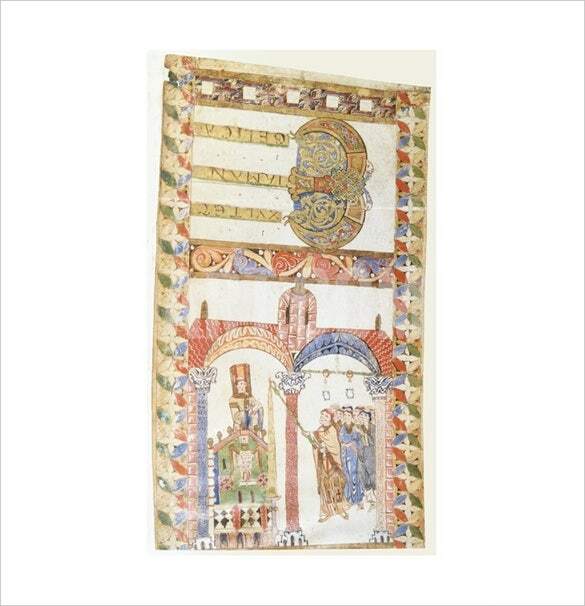 This template includes the image of Easter candle being lighted. Beautifully decorated Easter eggs are an important part of this festival which celebrates the resurrection of Jesus Christ from the dead. 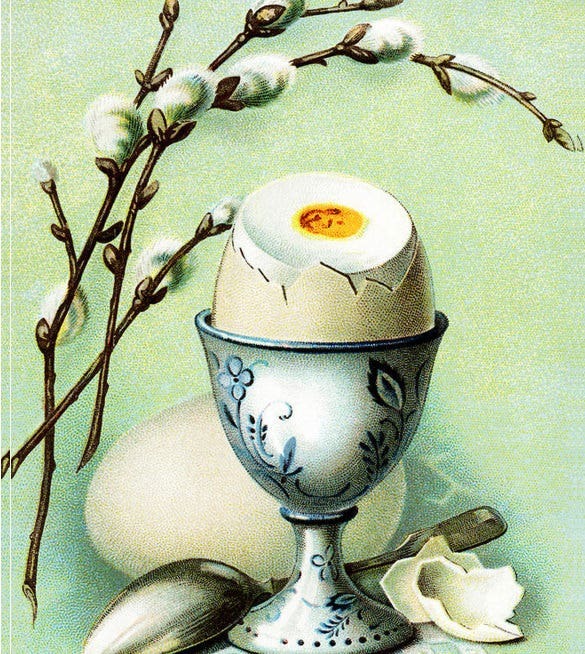 This is a beautiful vintage Easter drawing which will make a very good Easter card. Decorating an Easter egg by yourself may not be as easy as it seems. You can take ideas and inspiration as to how to decorate an Easter egg by downloading this template. You can also print it out. Download our compilation of Easter drawings and allow yourself to become inspired. There simple drawings as well as some which feature more skillful use of the pencil. See this Phoenix Bird Art Drawings. Easter is a festival and a holiday which celebrates the resurrection of Jesus Christ from the dead. 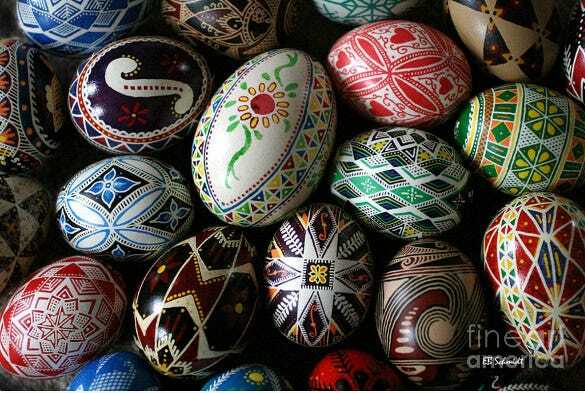 Easter eggs are decorated eggs that are often given to celebrate this festival and springtime. The tradition is to paint the eggs. Rather than decorating from scratch, you can take inspiration by downloading the above templates.